Using a computer-assisted translation tool, abbreviated as CAT, is a process which includes the use of software to aid individuals in translating. In case of time constraints, a computer-assisted translation tool can effectively reduce the translation time, enabling the translator to translate content in a timely manner. 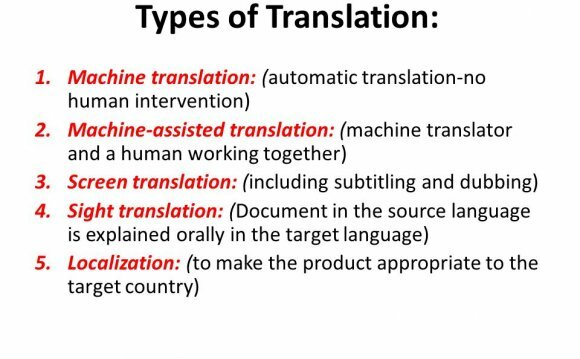 Computer-assisted translation is often also referred to as machine-assisted translation or machine-aided translation. Pangeanic uses several tools according to the format you need your translation in, from Excel, software (po files), InDesign files for desktop publishing, xml-compliant formats, etc. Contact Pangeanic and a member of our team will advise you on the best tool to use in your case. A computer-assisted translation tool facilitates the translation process by resolving the text into smaller, translatable segments. It organizes these segments of text in a manner which makes it easier for the translator to translate the text effectively, and makes the process of translation time-efficient. The segments can be recalled later on and thus the translator ensures that the terminology and writing style of the original is followed. It also provides savings when the material that needs translation is similar to previously translated material – you only pay for part of the sentence that has changed. A CAT tool further reduces any chances of errors by saving the translated segments along with the source phrase. A translator can easily access any of the translated segments at any given time to ensure that the segment has been translated adequately. Computer-assisted translation tool has been developed to allow the translator to be able to quickly search and alter-if needed- a particular segment of the text. It has been programmed to assist the translator with the revision in a timely manner. The computer-assisted translation tool saves the translated segments and source segments as distinguished translation units. It saves these segments in a translation data base, referred to as the translational memory. Translation units stored in the translation memory can be accessed at any given time to be re-used either in the same document or a different one. Computer-assisted translation tool is equipped with special search features to allow the translator to access segments of translated fragments even when two segments do not match completely. A computer-assisted translation tool leads to the effective use of time and energy resources during the process of translation. It also helps to create a translation memory, which can be utilized later on as training corpus for machine translation engines. The availability of translation units in the translation memory also ensures consistency in the usage of certain terms. This adds authenticity to the translated document. A computer-assisted translations tool can provide with much needed assistance when translating texts of considerable sizes. It effectively aids the translator in the processes involving correct use of terminology, maintaining consistency and proof reading. An online translator is a web-based tool based on Machine translation. Online translators can translate single words, paragraphs or complete websites. Prominant online translators incude Google's Language Tools and Altavista's Babel Fish.